ENCAC (European Network for Contemporary Audiovisual Creation) offers six research and/or production residencies in DISK Berlin (Berlin), humainTROPhumain (Montpellier), LABoral (L.E.V Festival, Gijón), Avatar (Quebec) and le lieu unique (Nantes). LABoral and the nine artistic and cultural institutions that take part at the European Network for Contemporary Audiovisual Creation (ENCAC) have launched its second open call addressed to artists/developers worldwide, which are working on all kinds of innovative concepts and ideas in the fields of intermedia research on sound, visuals, music, performing arts and digital culture. The call offers six research and/or production residencies that will take place over the period of November 2016 through May 2017 at the following locations: DISK Berlin (CTM Festival, Berlin), humainTROPhumain (Montpellier), LABoral (L.E.V Festival, Gijón), Avatar (Quebec, Canadá) and le lieu unique (Nantes). ENCAC is looking for creative and innovative artistic projects and research within the fields and at the cross-sections of sound, visuals, music, performing arts and digital culture. The residencies offer a chance for artists to research, conceive, produce and present new artistic works, new tools, methods, formats and perspectives for audiovisual creation. Presentation format depends on the nature of the residency, and may range from a final performance, an informal work-in-progress presentation, installation, a talk or workshop-style format, or other. Resident artists will receive technical and artistic guidance during the development of their research and production. The support will be provided by the hosting venue and its network of collaborators. Travel and accommodation costs are also covered by each hosting institution. Submitted project proposals must be original, unique, and as of yet unpublished. While applicants are asked to select the residence they wish to apply, the curatorial committee may consider that the project is more suitable for a different venue than the one selected by the applicant. An applicant may apply for more than one residency. Budget (gross): 5.000 € which include a fee for the artist, production costs for the project as well as travel, accommodation and per diems. Access to technical resources and technical assistance is available and not included in the gross figure. Description: The purpose of this residency is to widen the limits of the scenic fact in relation to digital art and new technologies. We are looking for projects that combine contemporary av creation techniques with scenic performance in any way: artificial intelligence based performances, real time data manipulation shows, multimedia contemporary dance, audiovisual electronic operas, performances with light, video and sound, robotic theatre, etc. Budget (gross): 6.000 € which include a fee for the artist, production costs for the project as well as travel, accommodation and per diems. Access to technical resources and technical assistance is available and not included in the gross figure. Budget (gross): 3.520 € which include a fee for the artist, production costs for the project as well as travel and accommodation. Access to technical resources and technical assistance is available and not included in the gross figure. Budget (gross): 2.000 € which include a fee for the artist, and production costs for the project. Avatar will take care of travel, accommodation and per diems. Access to technical resources and technical assistance is available and not included in the gross figure. Description: Production of an audiovisual piece that works with light, video and sound. Addressed to all creators interested in the evolution of multimedia creation related to audiovisual culture: performances, live audiovisual, audiovisual installations including digital sets, light architecture. The aim is to extend the limits within the world of experimental audiovisual creation applied to the context of the performance and installation. Final results will be presented at LEV festival 2017, taking place on April/May 2017. Proposals whose visual aspect enrich the objectives of the festival will be especially valued, as well as proposals with both an installative dimension and a development as an audiovisual performance. Budget (gross): 4.520 € which include a fee for the artist, production costs for the project as well as travel and accommodation. Access to technical resources and technical assistance is available and not included in the gross figure. Description: Le lieu unique would like to welcome in this residency a research project on creation and/or prototyping of experimental av instruments. Fields of study could include (but are not limited to): - usage and re-appropriation of everyday objects, linking them to digital technologies - construction of digital or electronic instruments - elaboration of multimedia or « wild » design in instruments -any production questioning the links between technology and av (storage and reproduction of sounds, links between technologies and forms, modes of listening and audio creation, etc.). 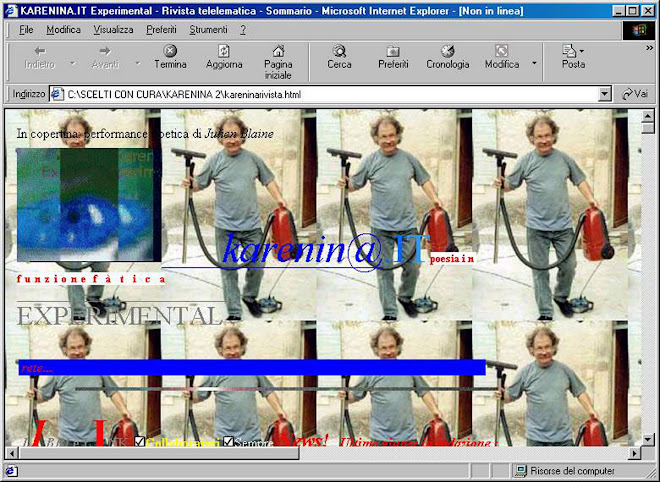 The main objectives of the residency are to organize a space of audio experimentation which will question, examine or expand the frontiers and limits of the av field, to create connections with other forms of artistic expression and to question their links, while promoting the usage and practice of experimental practices in av creation. Budget (gross): 11.000 € which include a fee for the artist, production costs for the project, technical assistance, as well as travel, accommodation and per diems. .